Louis Theroux has revealed the focus for his latest BBC documentary series. 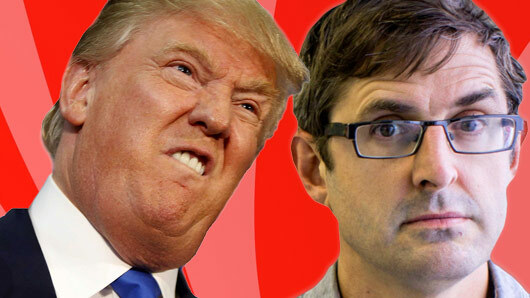 Everyone’s favourite documentarian Louis Theroux will be analysing all things Trump for his newest television piece, which is set to air as a three-part series on BBC Two. Donald Trump’s rise to power has been a topic of great interest in Britain, especially given the country’s recent withdrawal from the European Union. Theroux will be exploring how the “post-Brexit wave of populism” seems to have perpetuated a global shift in attitude and facilitated Trump’s presidential victory. The journalist plans to investigate the so-called Trump phenomenon and get to the origins of all his “foibles” as he films the documentary in the United States of America. Theroux has spoken out about the upcoming series he is working on. He told The Mirror: “It feels like a whole cultural, almost sea change in how the world is part of the post-Brexit wave of populism. “The story seems to change every day with Trump. There’s something new bubbling under. It’s hard to get your head around such a big subject. Well, who doesn’t love a Louis Theroux documentary? We’re sure it will live up to expectation.